For those of you in the area (and needing to spend those B&N gift cards you get for Christmas) . 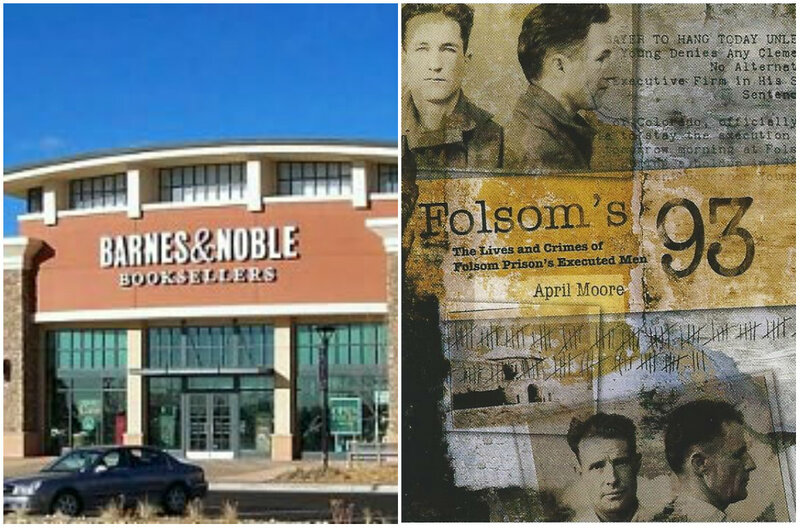 . . I’ll be signing copies of Folsom’s 93 at Barnes & Noble at Centerra in Loveland, CO on January 4, 2014 from 12:00 p.m. to 6 p.m. Come by and chat with me—nothing’s worse than a lonely author sitting all by themselves at a table with no one to talk to. (My family can only take so much before they get bored and find something else to do). Hope to see you there! Categories: Book Promotion | Tags: Barnes and Noble, book signing, Centerra, Folsom Prison, Folsom's 93, Loveland | Permalink. I put it on my calendar, April!